Peter is a Learning Development and Innovation Lead, tasked with driving learning through innovation. 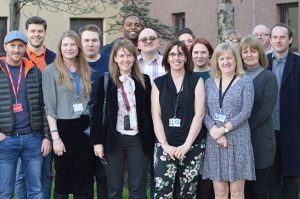 Peter focuses on the design and delivery of world-class training and professional development in collaboration with justice sector partners and the wider Scottish workforce. He has a particular interest in the use of online learning to provide access to high quality learning materials across Scotland. 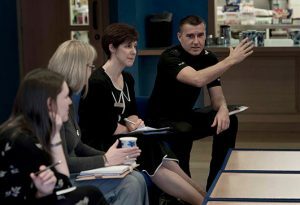 Peter comes to Criminal Justice Scotland from a dual role in lecturing and quality improvement in learning. He was responsible for developing outstanding teaching and learning across Tyne Coast College and its national partners. The College was subsequently awarded Best FE College and Best Overall FE Provider in the Times Educational Supplement Awards 2017. Peter has designed and delivered qualifications across disciplines in further and higher education including the Northumbria University Foundation Degree in Criminal Justice and the Sunderland University PGCE in Post-Compulsory Education and Training. 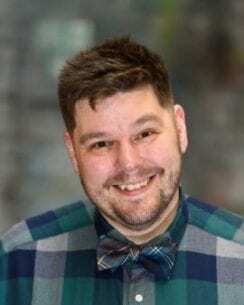 His areas of specialism include research methods in criminal justice, debates and controversies in criminal justice and the memorialisation of trauma in literature. Peter retains his involvement in practitioner led research through the Outstanding Teaching and Learning group sponsored by the Society for Education and Training. He is an examiner for the Assessment and Qualifications Alliance in English Language and Literature.